A swing-and-a-miss to a typically fierce delivery from Ben Karlo. 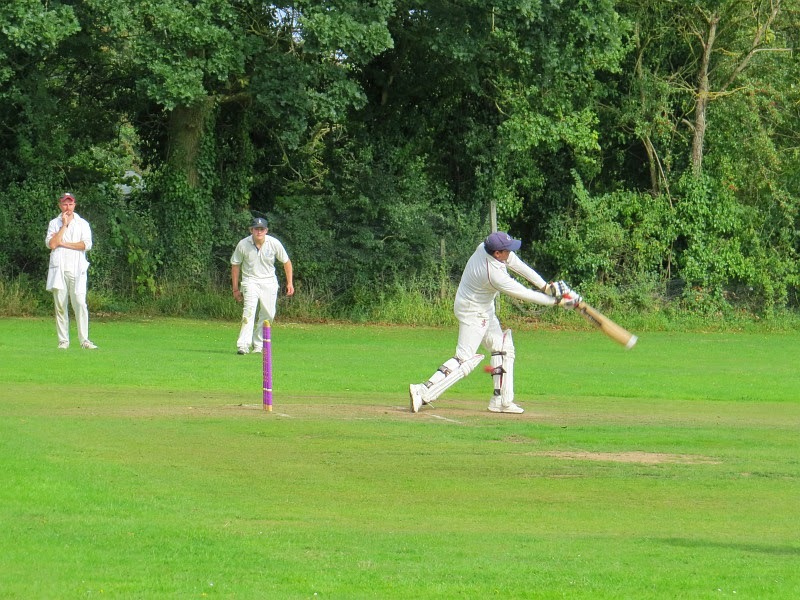 The photographer, Adrian Turner (Dad of Nick), points out: "The ball that hit the bails is by the batsman’s left calf, not out yet!" Greater success for the batsman this time. 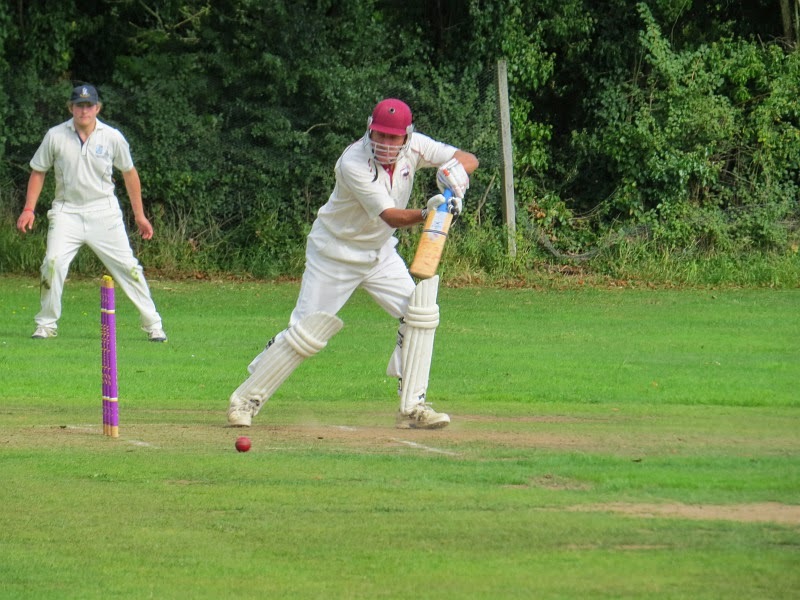 Tom Chapman is the agile-looking fielder in the background. Taken from the narrow victory yesterday against University of Oxford Hospitals.